was, in effect, a completion of the Levitt and Sons communities of Olde Bay Trail and Woodlawn Manor. When Levitt and Sons began developing in Upper Marlboro, homes were first constructed under the Olde Bay Trail name on White House Road, the eastern portion of Pickering Circle, and Windermere Court. As construction of the community progressed, it was reintroduced as Woodlawn Manor and the homesites on and off Woodlawn Boulevard were developed. Although the homesites for both communities back to one another, the street systems of the two are not connected. The only connection between the two communities is a walkway linking Windermere Court and Woodlawn Boulevard. When the Levitt houselines moved away from traditional and into contemporary, the remainder of Pickering Circle was developed with contemporary homes. Pickering Circle, Ltd quite literally closed the loop and completed the street, rejoining to form a complete circle. U P P E R M A R L B O R O , M D .
Location: Upper Marlboro in Prince Georges County, Maryland adjacent to Levitt's Olde Bay Trail and Woodlawn Manor communities. 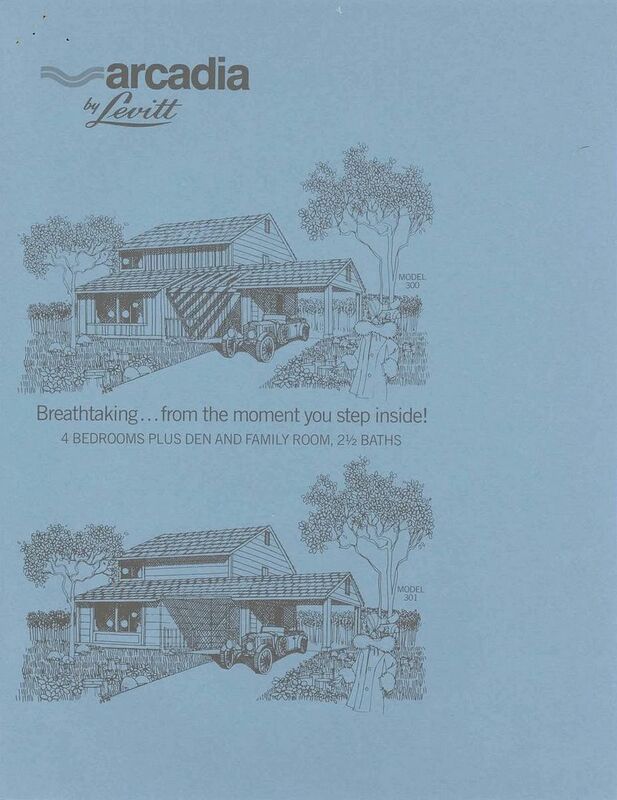 Constructed by Levitt and Sons, Inc. as Levitt Residential Communities, Inc.
Open for sales in 1972. Sample homes located at the Levitt Information Center at Lake Village on Collington Road (Route Md. 197) in Bowie, just off Route U.S. 50. Tour both sample homes and select the style of your new home at Pickering Circle, Ltd. Homesites are oversized and wooded. Two-car garages on select homesites are available. Rancher. 3 Bedrooms, 2 Baths, Covered Entry Portico with exterior Garage access, Double-door Raised Entry Foyer, Living Room with Cathedral Ceiling and Clerestory, Eat-in Kitchen with Sliders to back lawn, Family Room with Fireplace, Laundry-Utility Room, Master Bedroom with Walk-in Closet, Master Bath with separate Vanity and Bath areas, One-car Garage, Optional Two-car Garage. Two-story plan. 4 Bedrooms, 2-1/2 Baths, Covered or Beamed Entry, Double-door Two-story Raised Entry Foyer with Guest Closet and Garage access, Living-Dining Room with oversized windows and Cathedral Ceiling, Famliy Room with Sliders to back lawn, Eat-in Kitchen with Separate Laundry-Utility Room, Master Bedroom with Walk-in Closet, Oversized One-car Garage. 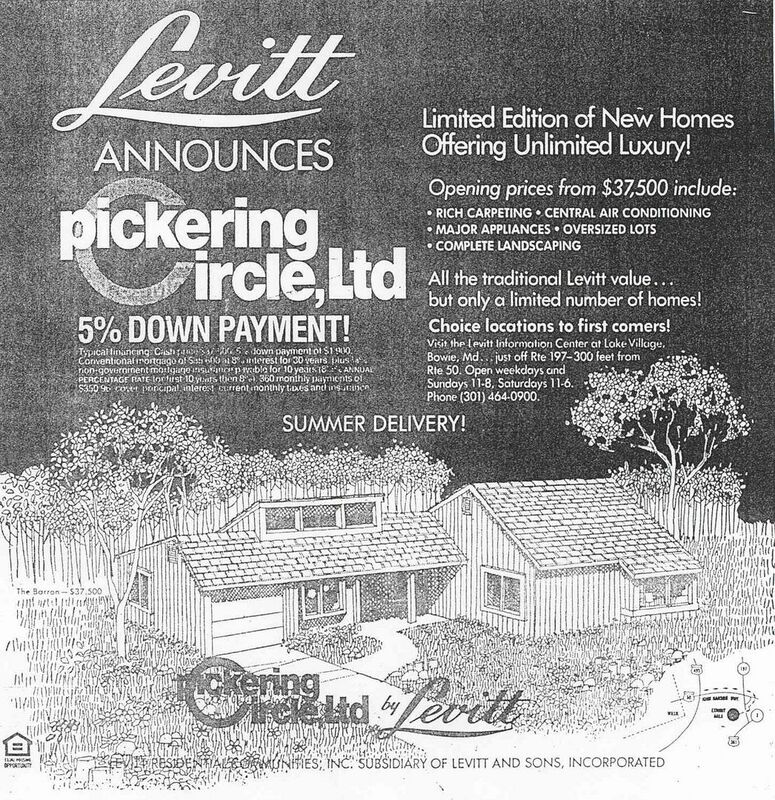 View original newspaper sales advertisements for Pickering Circle, Ltd.
As its name implies, Pickering Circle, Ltd was truly a limited opportunity: only two models were offered in the community, and only 34 homesites were available. 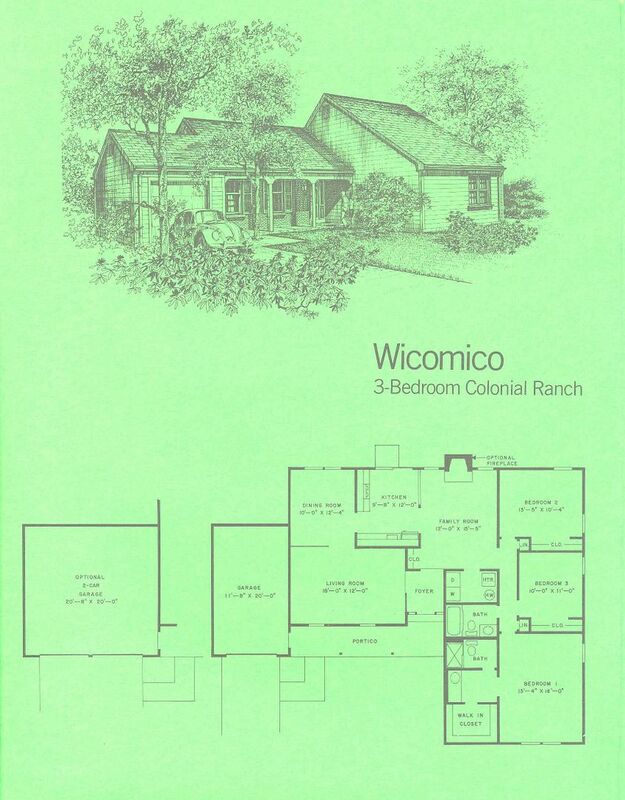 The Barron model is a contemporary version of the traditional Wicomico model at the Fairways at Crofton Green in Crofton and at Lake Village in Bowie. 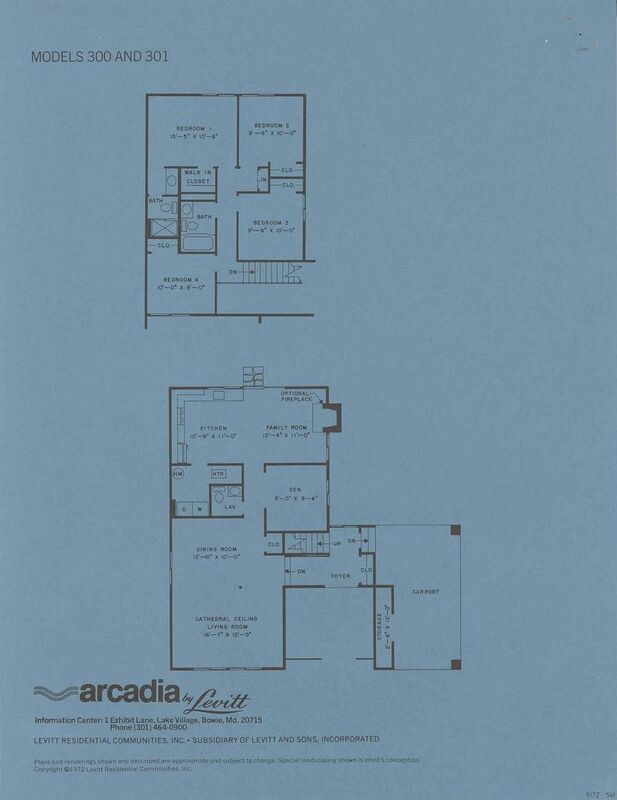 The Galahad is Model 300-301 at Arcadia at Lake Village and Arcadia at Northampton off Woodlawn Boulevard and adjacent to Pickering Circle, Ltd. Page last revised 26 January 2008. Copyright (c) 2004 Kevin Sylvester. All Rights Reserved.